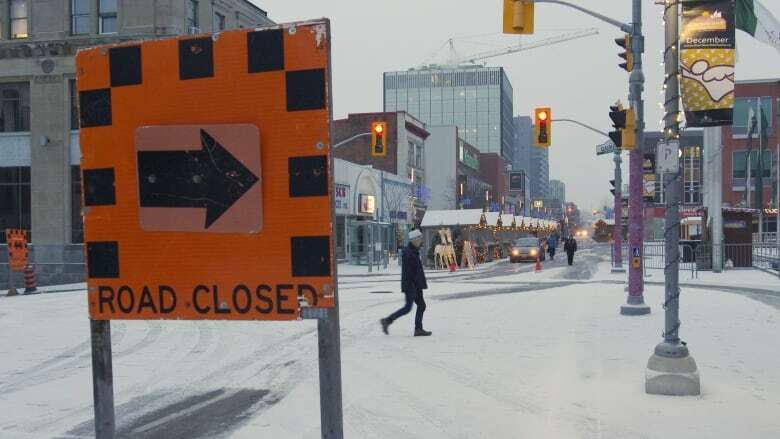 A stretch of King Street in downtown Kitchener will be closed for the next few days while Kitchener City Hall hosts its annual Christkindl Market. Starting Wednesday, Dec. 5 and running to Monday, Dec. 10, King Street W. will be closed from Water Street N. to Young Street. A short section of College Street — between King Street W. and Bell Lane — will also be closed for the seven days. The traditional holiday market begins at 10 a.m. Thursday, coming to a close at 4 p.m. Sunday. The City of Kitchener says 95 vendors are participating in this year's event, selling everything from handmade chocolates to traditional German food and decorations. There will also be demonstrations, live entertainment and a model railway display for children.